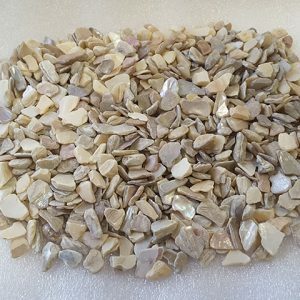 Mirror chippings provide a beautiful contrast when used in any application, the beautiful reflection and sparkle that they emit, provides a stunning background for any terrazzo floor, garden landscape, decorative or floral arrangement. Our Mirror chippings come in a 14mm size, they are made from recycled mirrors, which are then crushed. The mirror chippings have one side that provides a beautiful reflection from it when used in any number of applications. Terrazzo flooring involves combining aggregates with concrete, the aggregate is embedded in the concrete, it is then polished, to insure the aggregate appears exposed in the floor but the floor still gives a smooth appearance. Many customers have used mirror aggregates as part of table centre pieces for weddings and other occasions. Mirror aggregates can provide a beautiful contract when combined with red, black or white glass pebbles. 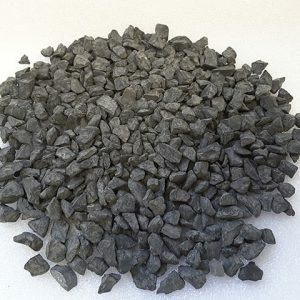 Mirror aggregate chippings have been also used in exposed concrete projects, some installers have added the mirror aggregates to the wet cement. Once the cement is dried the effect is stunning, as mirror are a great way to attract and reflect sunlight. A number of our customers have used mirror glass aggregates for table displays at car dealerships and at large trade events. Mirror glass aggregates are superb when bathed in LED light and provide a stunning backdrop to any stand or display area that you want to draw attention to. 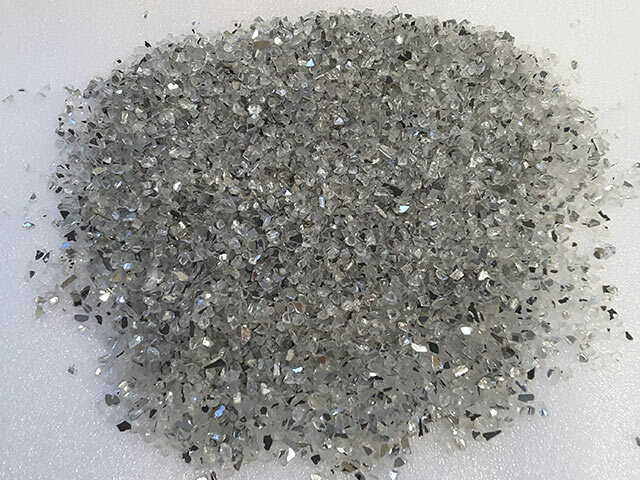 Mirror glass aggregates are also used in outdoor swimming pools, they imbedded into concrete and then polished to provide a beautiful sparkly and shiny appearance. Mirror glass aggregate is used a lot by architects in the United States for just this effect. 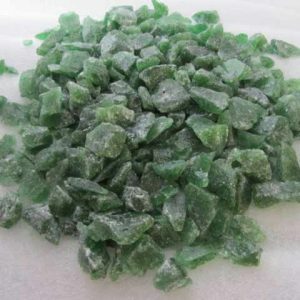 Mirror glass aggregates are also popular for use in external fire pits, often it is used in combination with glass pebbles, it is particularly popular for use with Red, Yellow and Pink glass pebbles. Mirror glass chippings can also be used in water features, they give a stunning shiny appearance when used in a water feature, which is exposed to outside light. Mirror glass aggregates can also be used in conjunction with our range of recycled glass chippings and recycled glass pebbles, a small vase, for example, with ink blue glass pebbles on the bottom, with a sprinkle of mirror chippings over it, provides a stunning addition to any vase which contains glass pebbles. Mirror glass chippings can also be used in any vase or floral arrangement, as stated previously mirror glass chippings are particularly stunning when there are LED focussed on them. We recently supplied some mirror glass chippings for a large car dealership, they used the mirror glass aggregates in their terrazzo flooring and the glimmer effect from the lights as it interacts with the mirror aggregates on the floor in truly stunning. Mirror glass aggregates can also be used with our range of polished cobbles, we recommend the 0.8cm to 1.2cm, as the mirror chippings give a beautiful glimmer effect to these polished cobbles.